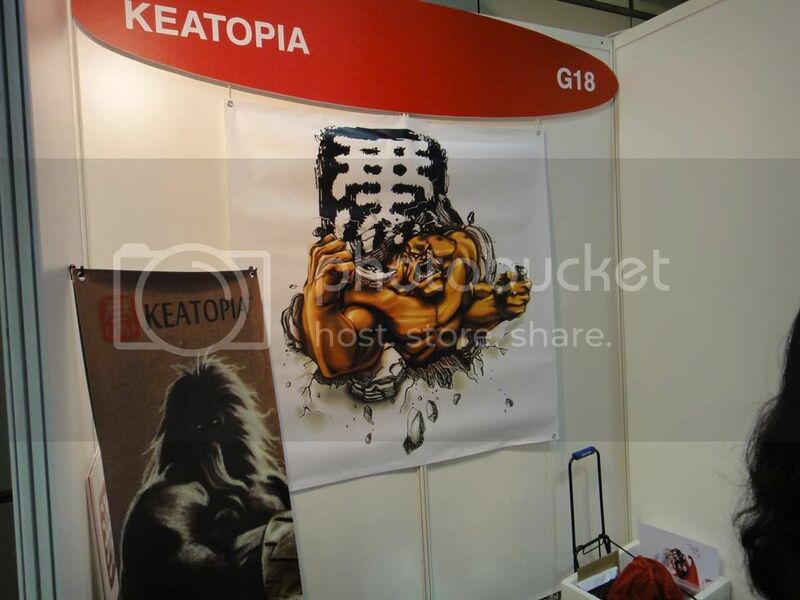 Keatopia At STGCC - Street Fighter Art Wins Anyday! 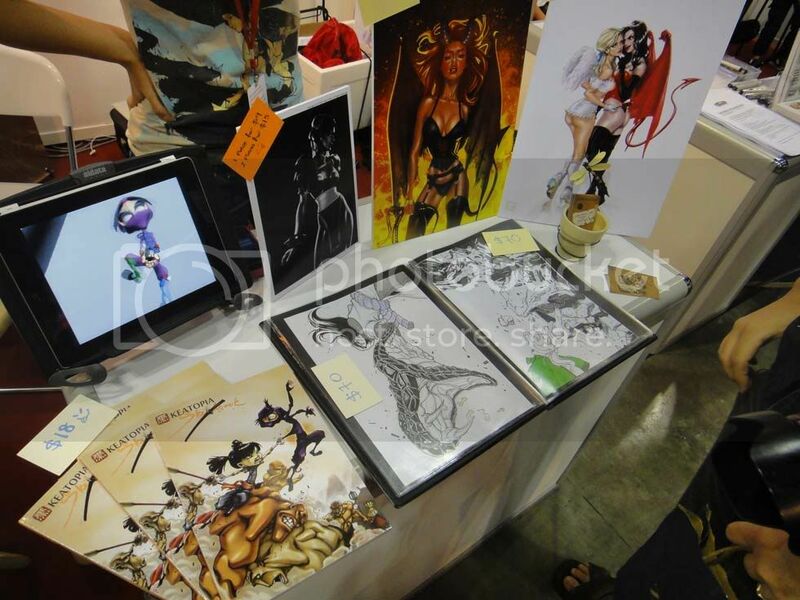 As you might have heard there's a lot of artists here at the Singapore Toys, Games and Comic Convention but one artist's booth immediately got my attention. 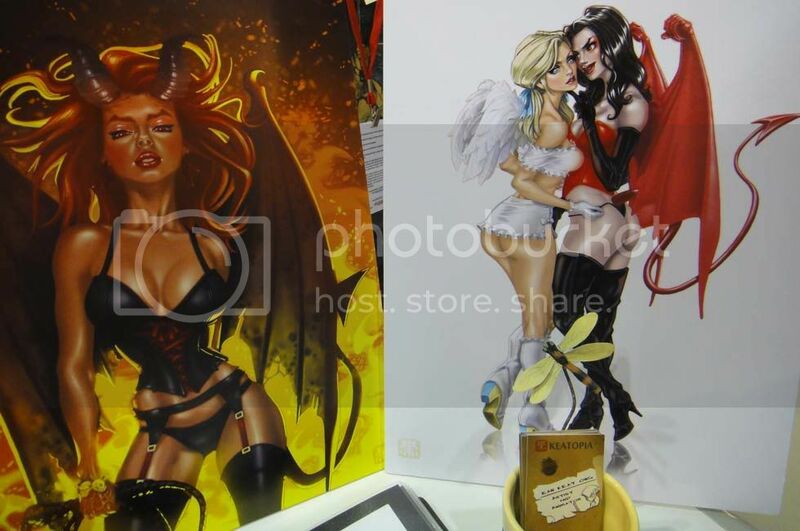 Aside from the Devil and Angel lesbian moment you see above Ean Keat Ong's got a Chun-Li displayed right beside his work table. I'd go ahead and buy it but I really wouldn't know to pack it for my flight. Looking at his sketchbook he's into a lot of Street Fighter and Naruto stuff which is already a winner in my book. 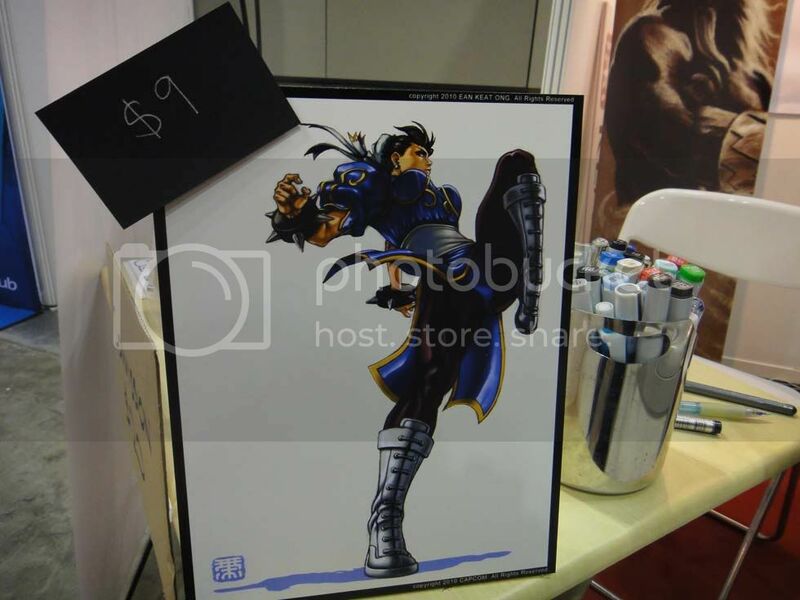 You can see images of his booth after the break and a source link to get to his deviantART page too. I'd go ahead and talk to the guy but he was busy so I hope he gets to see this instead.